For many Americans, Thanksgiving morning means watching the Macy’s Parade on TV. 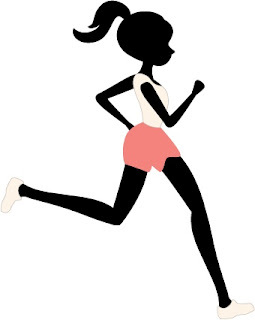 Here in my Southwest Florida community it means an altogether different type of Thanksgiving parade, one comprised of hordes of skeletal young women in black tights, running maniacally up and down the palm-studded streets, looking miserable, as if someone is out to kill them. Our development is located in a town where, according to the latest census, the median age is 59. Every Thanksgiving, planes full of visitors swoop in from points north to spend the holiday with parents, grandparents or in-laws. Many of those visitors are young women who have somehow gotten it into their heads that they should have the bodies of eight-year-old boys. For them, Thanksgiving is a day to feel anything but blessed because they know their mothers, grandmothers and mothers-in-law are going to insist they sit at the damn table with the rest of the family and eat. The table will be laden with turkey, stuffing, mashed potatoes, gravy, marshmallow-topped casseroles, pies, breads and other poisonous dishes they won’t be able to send back to the chef like they do in restaurants up north when they're trying to avoid eating because the chef, in this case, is someone who won’t hesitate to point out the obvious -- that, just this once, it won’t hurt them to eat because, frankly, they could stand to gain some weight. And so, knowing that in a couple of hours they’re going to have to sit at the table and pretend they are enjoying themselves, they come to Florida and run. And run. I've seen at least two dozen pass my house already and it's not even 10 a.m.
It’s silly and sad at the same time. So there I was the other night, sitting in a corner booth of a dark restaurant with a group of friends, my arm around a beautiful woman, when I felt a warm and tingly sensation emanating from my crotch. A guy in his twenties experiences this feeling 100 times a day. A guy my age? Not nearly so often. 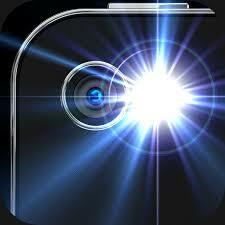 Glancing down, I saw a beam of light. I had turned on the flashlight function of my iPhone so I could read the menu, had slipped the phone back in my pocket, and the light was still on. 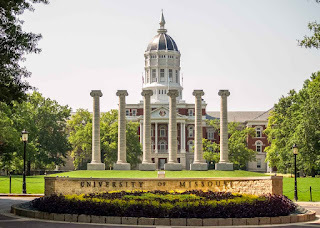 As an alumni of the University of Missouri, it is important that you take immediate action to secure your safety and property, and to disassociate yourself from an institution known not only for the racism of its student body but for being home of some of America's most inept administrators and faculty members. Here is a checklist containing suggestions for immediate implementation. 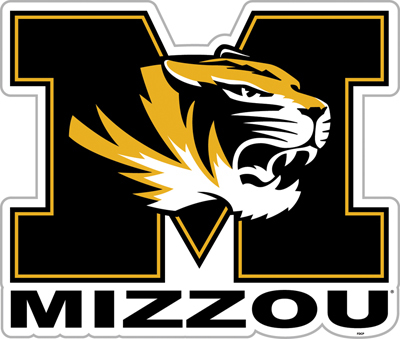 ( ) Scrape Missouri Alumni decal from back window of vehicle. Muscle may be required. ( ) Write “Return to Sender” on Missouri Alumni magazine and replace in mailbox so postal workers will know you are ashamed. ( ) Take Mizzou blanket, diploma, sweatshirt, bookends, etc. to Goodwill, but leave them anonymously at the back entrance so employees won’t associate you with the school. ( ) Ask manager of local sports bar to provide a safe space for alumni group to watch football games. ( ) Sign petition demanding the University rename its mascot, Truman, because he was a hater who ordered bombs dropped on Hiroshima and Nagasaki. ( ) When friends and co-workers ask, “Didn’t you go to the University of Missouri?”, inform them they must have heard you wrong, you attended the University of Mississippi with which it is often confused. Saturday night I posted on Facebook an ESPN clip, a video retrospective of the University of Missouri Golden Girls, a group of dancers who perform at football games, that is celebrating its fiftieth anniversary this year. One of the girls featured in that clip is now my wife. She was 19 at the time. The clip was presented under the title, “SEC Nation,” part of an ongoing series of sidebars produced by EPSN to give football fans insight into the traditions of teams that belong to the Southeastern Athletic Conference. Missouri didn’t belong to the SEC when my golden girl was a Golden Girl. It belonged to the Big 8, a conference of Midwestern universities that included Iowa State, Nebraska, Oklahoma and Kansas. The Big 8 became the Big 12 in 1996 with the addition of four Texas universities. Missouri is an anomaly among American states. It was admitted to the union in 1821 as a slave state, settled by southerners who wanted to bring with them slaves to pick the tobacco and cotton they intended to plant. At the beginning of the Civl War, when other slave states were seceding from the union, Missouri, whose legislature had decided to join them, was kept from doing so by President Lincoln, who ordered its lawmakers arrested and jailed. Relations between blacks and whites in Missouri have been tense ever since and, on occasion, flare up spectacularly, as they did in Ferguson last year. In 2011, the Board of Curators of the state’s university made the decision to withdraw from the Big 12 and to join the Southeastern Conference, comprised of universities located in states that were part of the Confederacy -- schools like Ole Miss, Georgia, Alabama and South Carolina. Many if not most northerners of a certain age will tell you that the first thing that comes to mind when you mention schools in that part of the country isn't football prowess. They're remembered primarily for refusing to admit African-Americans in the 1960s. Ole Miss famously tried to block James Meredith. Alabama Governor George Wallace attemped to prevent African-Americans from enrolling at that state’s university. Missouri wasn’t that far ahead in terms of accepting black students. Its first had been admitted in 1950 but Mizzou, by and large, escaped the notoriety the Deep South schools received. What made the University of Missouri’s curators abandon the Big 12 for the SEC? Money. SEC schools rake in millions made possible by advertising dollars. SEC fans live and breathe college football, enabling networks like EPSN to charge huge bucks for advertising which they share with the conference’s member schools. As I write this, the University of Missouri campus is imploding. Following a series of race-motivated incidents to which many students felt the University president’s response was inadequate, Mizzou’s football players announced on Saturday, about the time I posted the Golden Girls clip, that they are refusing to play until he is fired. Faculty members, academics who have long resented that the president wasn’t “one of us” (he is a businessman rather than an academic) have joined in and are refusing to teach. It’s a mess, the lead story on the news, and an embarrassment for everyone associated with the school, my alma mater. If the University of Missouri curators, who are scheduled to go into an emergency session momentarily to address the situation, really want to understand some of the reasons Mizzou is imploding, one of the first things they should do is look at the athletic department’s bank account. Today that bank account is overflowing because they, in their wisdom, decided the University of Missouri would be better off being known as a Southern college rather than a Midwestern one. Night before last I stayed home and watched one of my favorite movies, Tora! Tora! Tora!, about the Japanese attack on Pearl Harbor. Last night, I dined in Tokyo Bay. Not the Tokyo Bay where, aboard the USS Missouri, the Japanese signed the documents ending WWII. 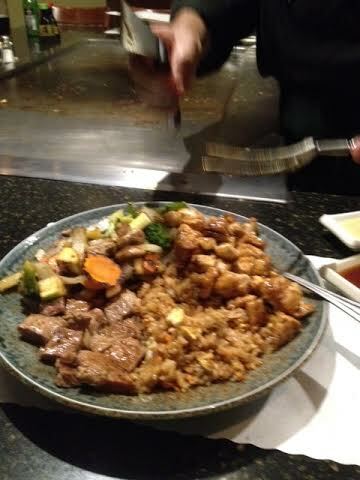 The Tokyo Bay I visited is an hibachi restaurant just outside the gates of our development here in Florida. My wife is out of town this week which has freed me to a) watch movies she would never in a million years agree to watch and B) eat whatever I please. Dinner Monday was Stouffer's Chipped Beef. Tuesday I went through the drive-through window at KFC. Wednesday I wolfed down an entire “meat lovers” pizza. Last night, feeling the need for real food and some company other than our ancient dachshunds who aren't good dinner conversationalists in the first place, I headed for Tokyo Bay as I often do when I’m on my own. My wife hates hibachi but I love it. Not only the food, but the spectacle of it all: watching the chef build mini mountains of sliced onions he douses with brandy then ignites, turning them into volcanoes; the sounds of clanking metal as he quickly and precisely slices/dices veggies and meats just like the chef in the old ginsu knife infomercial; and joining my fellow dinners in applauding as he crack eggs into mounds of fried rice and, using his spatula, tosses the shells over his head and into a basket held behind his back. When I sat down at the U-shaped communal hibachi table, which holds 20, the only other diners were a couple who said they ran a dental lab down the street. They were nice enough and I acted interested when they informed me most dentists outsource the crowns they install in patients’ mouths to labs in China or India. Mr. Dental Lab said that if I would open my mouth and let him look inside he’d be able to tell if any of my crowns were of the inferior foreign-made variety. I lied and said I don’t have any. About that time a group of ten well-dressed, attractive women who looked to be in their forties, early fifties tops, sat down at the table. I assumed they were co-workers celebrating a birthday or promotion but turns out they were high school BFFs from Terrano (how natives pronounce Toronto), here for a girls’ week in Florida. They looked young to me but many, I was surprised to learn, were grandmothers. First time I’ve ever found a group of grannies hot -- yet one more sign I'm getting old. They asked me to recommend local restaurants for the rest of their stay and I was happy to oblige. Dining at Tokyo Bay reminded me of a story from my distant past, an hilarious albeit revolting tale I had enough sense not to tell the dentists or BFFs, who were shelling out $40 a pop for their hibachi dinners (excluding drinks, tax and tip). But it’s so damn funny I wanted to tell someone so you, my dear reader, are the lucky beneficiary. In the 1980s I worked for a New York agency. One of our clients was a company that imported a pricey and prestigious English gin. The agency regularly entertained clients from the company. Their idea of a fun evening was to start out in a bar where everyone was expected to down six or seven drinks made with the client’s gin, then go out to a swell dinner. One evening a new assistant account executive joined the group, which was intending to wind up at one of Midtown's finest hibachi restaurants. Fresh out of college, this kid had probably never drank one gin martini, much less the six or seven he had under his belt when he finally staggered into the restaurant and sat down with the clients around the hibachi table, at which point another round was ordered. If you’ve ever been to an hibachi restaurant, you know the chef fires up the grill to approximately four zillion degrees, hot enough to flash-sear a steak in seconds. Once the chef started cooking, the smell of the food caused this drunk kid to vomit so forcefully his puke landed on the red hot grill, which immediately started bubbling, popping and exploding chunks of vomit not only all over the group at our table but onto diners at neighboring tables. The entire restaurant – patrons, chefs, busboys, bartenders, hostesses – cleared out in 30 seconds flat. Nothing that untoward happened last night at Tokyo Bay. Everyone was well behaved. Nobody got drunk. Nobody hurled. I convinced the Canadian ladies they should go out for Hawaiian Fusion tonight and to my favorite Italian bistro the night after. Then I came home and watched another war movie, The Longest Day, about D-Day. I’m hoping my children and grandson will someday be proud I have put my tale of the hibachi hurler on the Internet, where it will live forever. But I somehow doubt it.